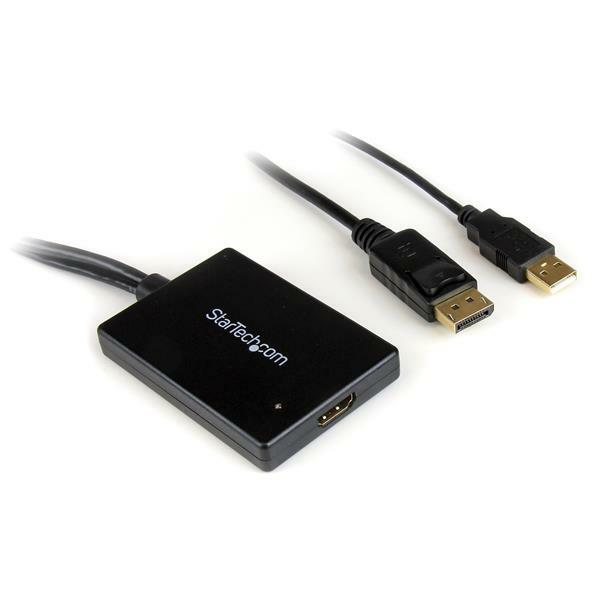 The DP2HDMIUSBA DisplayPort® to HDMI® Adapter with USB Audio is a cost-effective solution that lets you connect an HDMI capable HDTV to a device with DisplayPort output, avoiding the expense of upgrading the TV for compatibility. 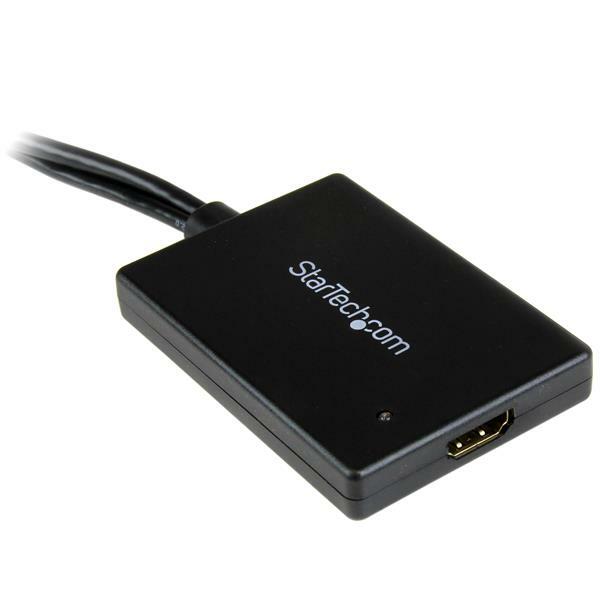 Featuring a compact design, the DisplayPort to HDMI converter/adapter requires minimal space and draws power through the USB connection, so that no bulky external power supply or outlet is required. Simply plug the integrated USB and DisplayPort connectors into your PC or Mac®, and use the desired length of HDMI cable to connect to your television/monitor. The 2-channel analog audio signal passes through the HDMI connection, delivering the video and accompanying audio signals using a single HDMI cable. DP2HDMIUSBA is a passive adapter that requires a DP++ port (DisplayPort++), meaning that DVI and HDMI signals can also be passed through the port.